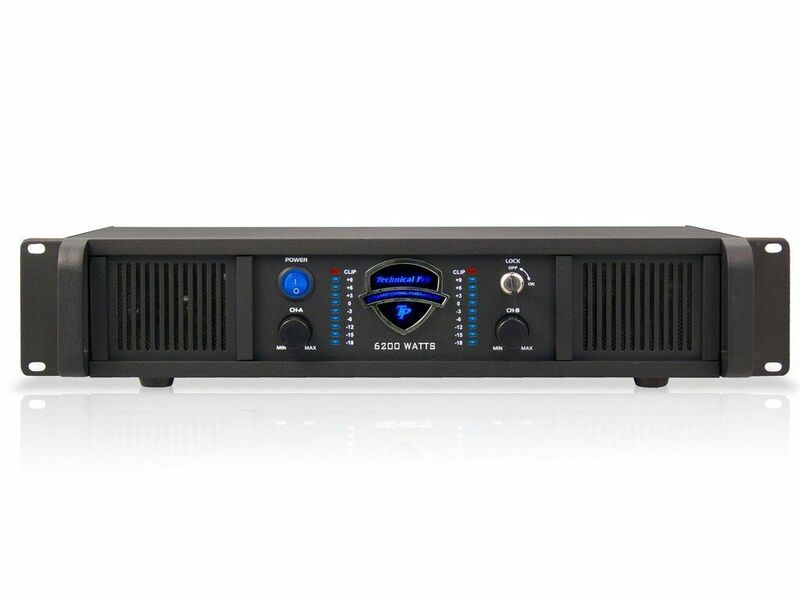 The Technical Pro LZ3200 Amplifier is one of the true workhorses in the pro audio industry. Not only is it versatile with a wide array of inputs and outputs but it can also put on a show that will last all night long. Amazing Design and Extraordinary Value All “L” series amplifiers come with a dual fan cooling system, and have a plethora of inputs and outputs; with 1/4”, RCA, and balanced XLR inputs, along with Speakon and Banana Post outputs, allowing them to handle almost any sort of wire connections you can think of. Absolute Power “L” series amps are Light, Loaded, and Long-Lasting amplifiers that will help you in a large array of instances from that amazing party at the club to that rolling house party for you and your friends at your pad! This amplifier will be your new best friend. It will get you through all those tough gigs without even breaking a sweat. Unprecedented Security Would you ever leave your door to your house unlocked? No you say…? How about your door to your car? No again? Well what about your power amplifier which is connected to every inch of your system from your speakers to your mixer to your audio sources? Well, that’s where you would probably be saying “I would if I could but I cant so I wont” – The time for change has come once again. Here at Technical Pro, the leader in Pro Audio innovation, we have come to the realization that many people would like to have a better sense of security regarding their equipment, that’s why our new line of “L” series amplifiers are all equipped with Key Lock innovation, which will allow you to “Lock Down” your amplifier so no one can meddle of break your equipment. Power Amplifier Lies Part 1 Most people use the logic that if 100 Watts is loud, then 200 Watts must be twice as loud—this is a complete lie! If you want your total sound output to be twice as loud, you’d need ten times the output power and one insane stockpile of loudspeakers. The true difference you get when you buy an amplifier with more power is “Headroom”, which means that your amplifier can put out a cleaner, deeper and higher sound without maxing out your resources and punishing your gear into submission. On a side note when you have an amplifier that gives you this added power you also have your speakers working more cohesively with your system, which equals a knock out performance that anyone would envy! Power Amplifier Lies Part 2 “If I use too big a power amp, I’ll blow my speakers.” Most high-quality loudspeakers (especially ours) are more than able to handle a ton of power and when dealing with Technical Pro speakers we make sure they all have special protective circuitry in their crossover networks to prevent such a thing like blowouts from happening. While it is possible to “blow” a low-quality speaker by severely overpowering it, the most common speaker failure is typically due to driving an under powered amplifier into clipping distortion. This type of distortion is every loudspeaker’s worst enemy—our ultra-clean power amplifiers are the solution. Can One Ever Have Too Much Power? Each person is different in his or her situation. Depending on what you plan on doing with your equipment, is how you should come to the conclusion of what you want. For example, if you were rocking an outdoor concert you would need more power than let’s say an indoors wedding. As a general rule, if you can perform comfortably with a pair of 12 to 15 inch speakers (all Technical Pro speakers will suit your needs in this regard), then one “L” Series Amp should suffice. L 19" x W 11.5 " x H 3.5"